Christmas. It’s meant to be a time filled with laughter, family memories and magical moments – right? Well, not really. 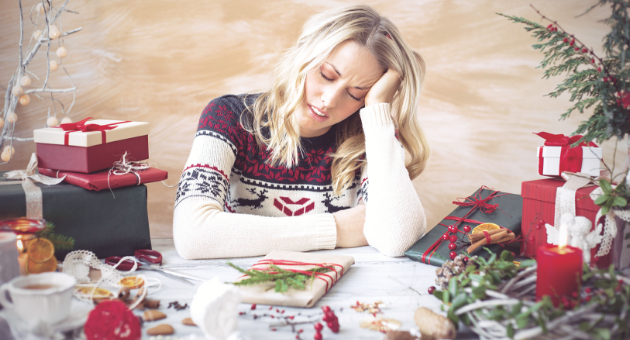 We chatted to Dr Tania McMahon from Benchmark Psychology about Christmas stress, and how to combat it. It turns out, they don’t call it the ‘silly season’ for nothing. Between good food, family gatherings, presents and so. much. celebrating. there’s a lot to love about Christmas time. But there’s a lot to think about, too. Throughout December, and even before it, our down-time becomes consumed with questions like ‘who will bring the pavlova?’, ‘how do I get my mother-in-law the perfect present?’ and ‘will the salad dressing I’m making turn out too acidic?’. What’s the first step to overcoming a problem? Realising you have one. Even as a psychologist, Tania says she often asks herself why she gets so stressed around Christmas time. She’s noticed that a big part of it is the disruption of her weekly routine, which sees those ‘feel good’ factors like exercise, down time, nutritious food and a simple good night’s sleep fall to the wayside. Add to that the stress of having to juggle so many other Christmas-related tasks – like planning menus, visiting family, figuring out what to get your loved ones or who to invite to your Christmas gathering – and we can very quickly become overwhelmed by stress, particularly without our normal outlets. 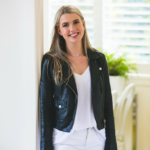 “It seems simple, and even silly, but if you schedule your week out and plan exactly when you’ll shop for certain people or events, notice when you’ve got down time and make room for those things like exercise or time to yourself, you’ll find it a lot easier to manage your stress,” says Tania. Simplify things where you can, and don’t feel bad about saying ‘no’ to some things if they’re going to cost you your sanity. Look for shortcuts – is anyone going to care, or even notice, if you put a store-bought cake in the trifle? – and trust that you’re still going to have a good time, even if every last detail isn’t catered to. And not just with your Christmas planning. If you feel yourself getting worked up about something, take a step back and ask yourself: ‘how do I want to look back on this day in a month or a year?’. Do you want to remember your Uncle Paul’s annoying comments? Will people remember your slightly burnt Christmas pudding? Or, will you remember the heart-warming moments that you allowed to happen when you focused on the positives? ‘Look for the positive’ might sound cliché, but it really will help you to put things into perspective. Be thankful that you have this time to spend with your loved ones, that you have food to eat – even if the Christmas pudding is a little burnt – and for all of the accomplishments you’ve made this year. If stressful situations are a fire, then alcohol is… well, alcohol. Watching your alcohol intake may be easier said than done, but making sure you’re in control of your emotions will really help to prevent any outbursts, and make it a lot easier to just bite your tongue and walk away. For more psychological insight, head to www.benchmarkpsychology.com.au.